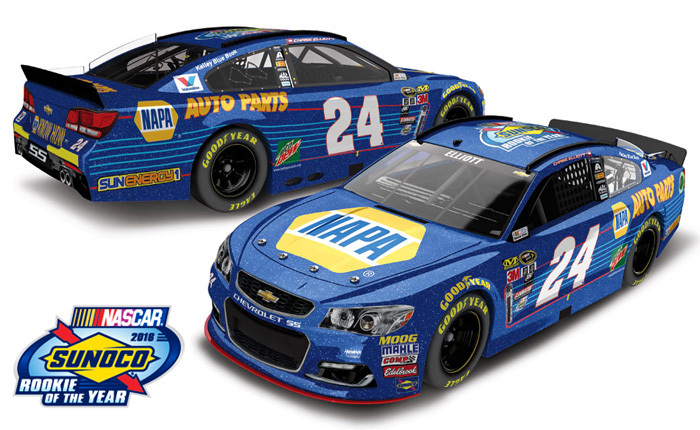 2016 Chase Elliott #24 NAPA / NASCAR Rookie of the Year / Chevrolet SS NASCAR diecast, produced with a Galaxy special finish by Action. This diecast car features the 2016 NASCAR Sunoco Rookie of the Year logo on the roof. Chase Elliott, the 2016 NASCAR Sprint Cup Series Rookie of the Year!